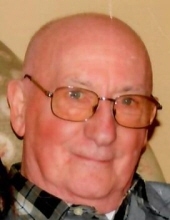 John Denora, 88, died September 8, 2018 at his home in North Arlington. Born in Irvington he lived in Newark before moving to North Arlington 45 years ago. He was a computer operator for 40 years at Blue Cross/Blue Shield in Newark and Florham Park before retiring 26 years ago. John served in the U.S. Army during the Korean war. John loved horses and spending time at the racetrack. He was a member of the North Arlington Senior Citizens where he served as Treasurer for many years and also a member of the Tuesday Senior Bowling League at Bowl O Drome in North Arlington. He was the beloved husband of Louise (nee DiGuilio), the adored father of Lois Radon and her husband Fred, Linda Peters and her husband Dennis; the cherished grandfather of Michael Radon, Christopher Radon and his wife Julie, Brandon Peters, Bryan Peters and Brielle Peters; the loving grandfather of Lena Radon; and the dear brother of Mary Mayo. He will be greatly missed by his many loving nieces, nephews, relatives and friends. The Funeral will be from the Parow Funeral Home, 185 Ridge Road, North Arlington on Wednesday, September 12, 2018 at 10 A.M. thence to Our Lady Queen of Peace Church, North Arlington for the Funeral Mass at 11 A.M. The interment will follow in Holy Cross Cemetery, North Arlington. Visitation will be at the Funeral Home on Tuesday 4 to 8 P.M. In lieu of flowers please make contributions in memory of John to the Queen of Peace Food Pantry, 10 Franklin Place, North Arlington, N.J. 07031. To send flowers or a remembrance gift to the family of John Denora, please visit our Tribute Store. "Email Address" would like to share the life celebration of John Denora. Click on the "link" to go to share a favorite memory or leave a condolence message for the family.